Full Gospel Temple Plant of Renown, Inc. The Full Gospel Tabernacle was founded in Shreveport, Louisiana, in August, 1937, by Rev. Edith Mae Pennington. The church was organized at that time under the jurisdiction of the Assemblies of God denomination. In 1943 the name of the church was changed to the Full Gospel Temple. In February, 1950, the Full Gospel Temple became independent of the Assemblies of God and formed its own inter-denominational organization and corporation, "The Plant of Renown, Inc."
Rev. Edith Mae Pennington founded the church after several years on the evangelistic field. She pastored the church from 1937 until her death in 1974. Rev. Marvin W. Patterson, Rev. Pennington's brother, was associate pastor of the church until his death in 1963. Rev. Edith Lorraine Pennington, daughter of Rev. Edith Mae Pennington, was named pastor of the church in 1974 and is the current pastor. Rev. John D. Brock is associate pastor. Rev. Gerry Woolman and Rev. Lynn Woolman are youth pastors of "The Torchbearers". Rev. Jacob Maynard and Rev. Rachel Maynard are the congregational leaders of "Beth Shalom Ministries". Church services were held in various rental locations for the period of 1937-45. In 1945, a church building was erected on the corner of Line Avenue and Pierremont Road. Because of commercial development at this location, property was purchased in 1985 and a new church building was erected. 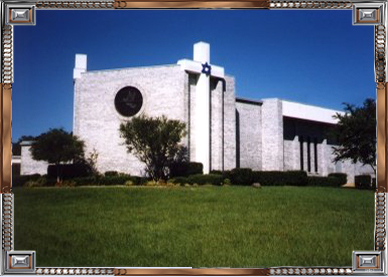 On March 1, 1987, the new church at 5606 Buncombe Road, Shreveport, La., was dedicated. This is now the current location of the church. The main "thrust" of the Full Gospel Temple is intercessory prayer. Its "vision" is a world-wide revival for the last days. When the founder came to Shreveport in 1936 to hold a tent revival she had a vision of a great tidal wave filled with fire! God spoke to her at this time that this was the coming wave of his visitation upon the city of Shreveport. For many years intercessory prayer has been made to see the fulfillment of this vision. Since the initial vision was given, God has expanded it from a revival for the city, the state, and the nation, to one that is global in scope. The Full Gospel Temple puts great emphasis on intercessory prayer and the fulfillment of the "vision" God has given. The church holds to the statement of fundamental truths and beliefs as outlined in the constitution of The Plant of Renown, Inc.